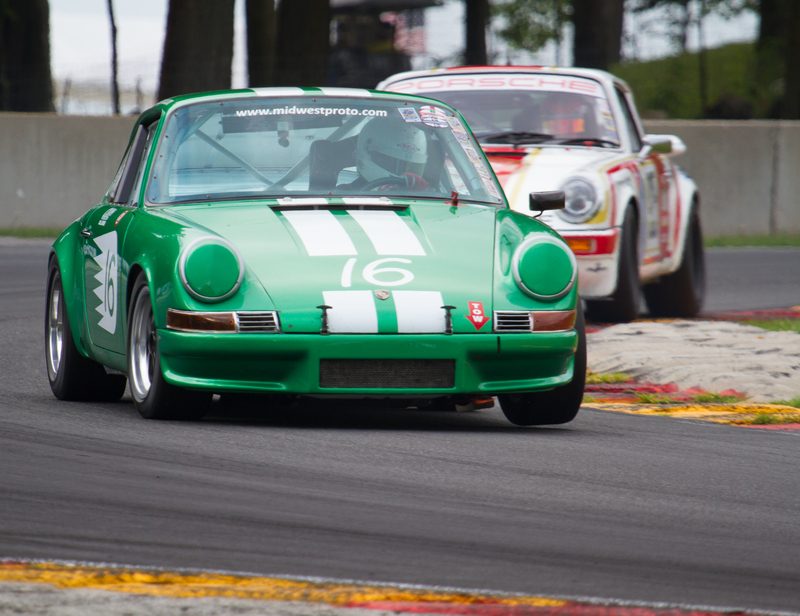 For 2017, Weathertech assumed sponsorship of the July vintage race at Road America, so this event became known as the 2017 Weathertech International Challenge with Brian Redman. For me, it’s still “The Hawk”. 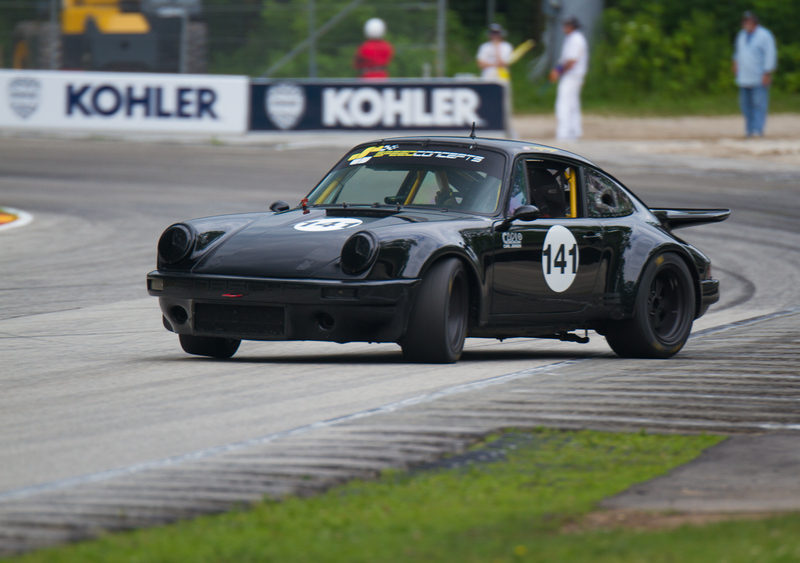 Regardless of the name, pulling into the gates at Road America is always coming home for me. 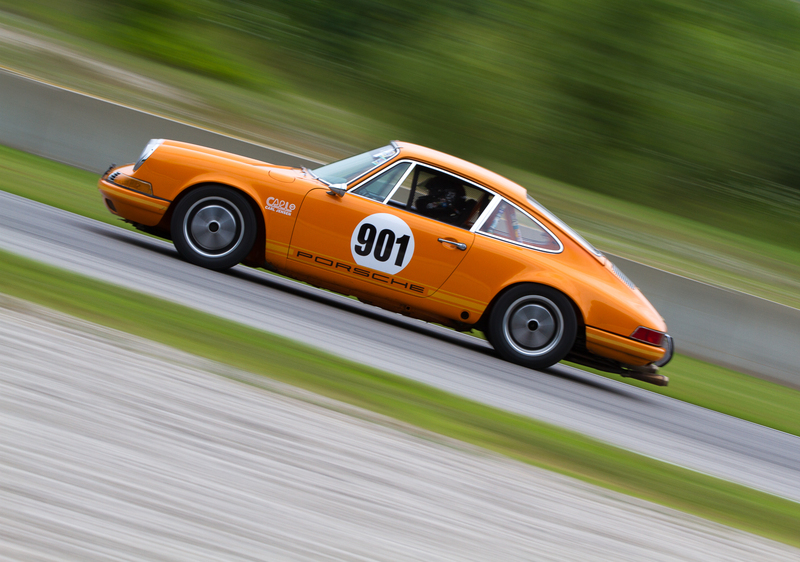 Although Road America's track map is typically seen in this orientation, note that this is 90 degrees off normal map orientation. 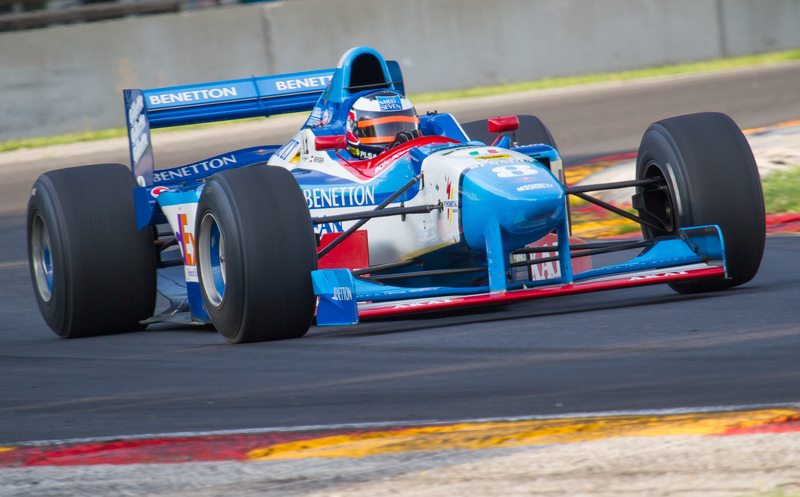 I had a great long weekend at America’s National Park of Speed, starting Thursday with practice sessions. 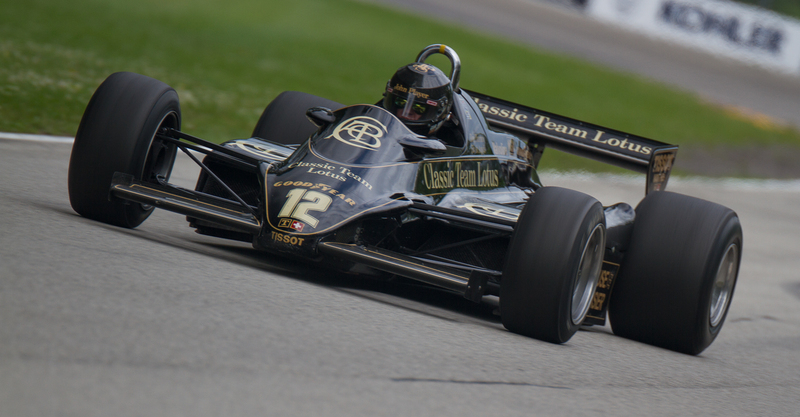 I started my day chasing down driving coach Kyle Tilley to grab some photos of him sorting out Philip Lewis’s ’72 Matich F5000 car in the first practice group of the day. Road America’s size (over 4 miles of track) makes logistics a big factor in planning a day of shooting there, so having met Kyle in the upper paddock (around turn 4) prior to the practice session, I didn’t have a lot of time to find an interesting spot to shoot his session. I hustled over to the Carousel, which is, I believe, one of Road America’s iconic views, and just happened to be oriented fairly well with the morning sun. This also afforded me some room to work backwards toward turn 8 and Hurry Downs during the session for a little variety. 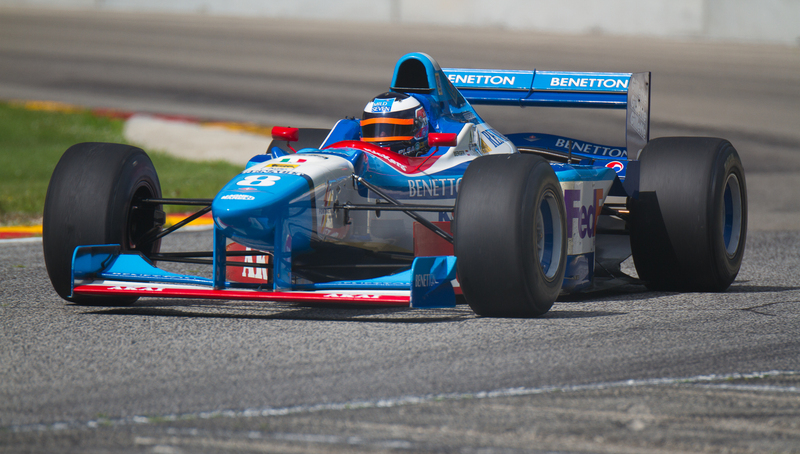 With fourteen turns spread across four miles of track, Road America has no end of great vantage points for amateur and pro photographers alike. 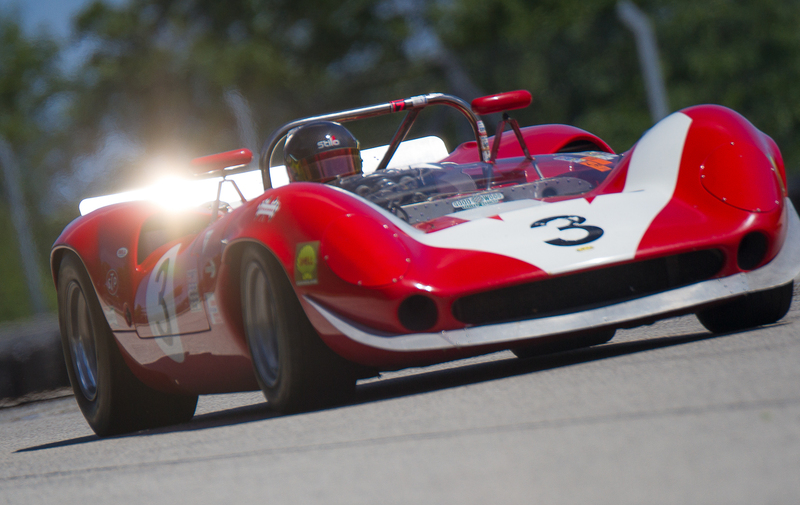 Simply stated, if you can’t find some great shots at Road America, you’re not going to find them anywhere. 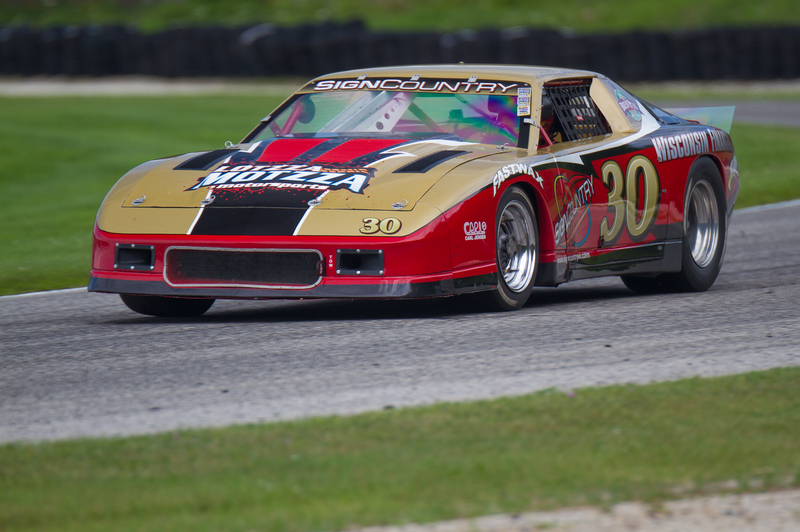 I’ve shot at Road America probably a dozen times or so, now, and I’ve certainly got some favorite spots, but I’m also always looking for new vantage points, and this year, I needed a little time to orient myself to some changes around the track, too. In addition to some great facilities updates, Road America made some changes to the guardrail outside turn 12 — also known as Canada corner. The old k-rail was removed there and replaced with a permanent cement wall, which will be safer for photographers, but it was brand-new when I visited, and recent rains turned it into a muddy mess behind the wall. Canada corner is one of the “must see” spots if you’re new to the track. 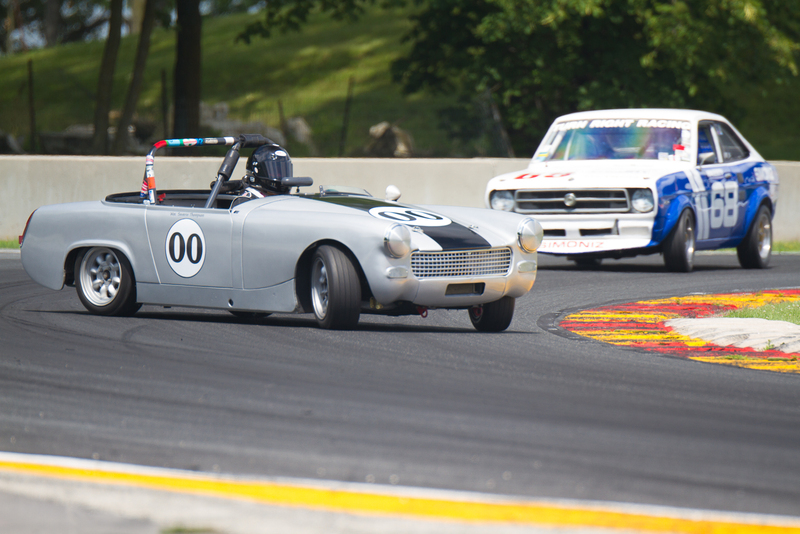 Cars carry a lot of speed out of Kettle Bottoms, so there’s great late-braking overtaking in this corner, and the woods on both sides of the track make it extremely picturesque. Credentialed photographers can work both sides of this corner, and the spectator stands here are nicely shaded most of the day, making this spot especially popular when it’s hot. On the outside of the track, great vantage points continue nearly to turn 14, which leads up the hill to the start-finish line. 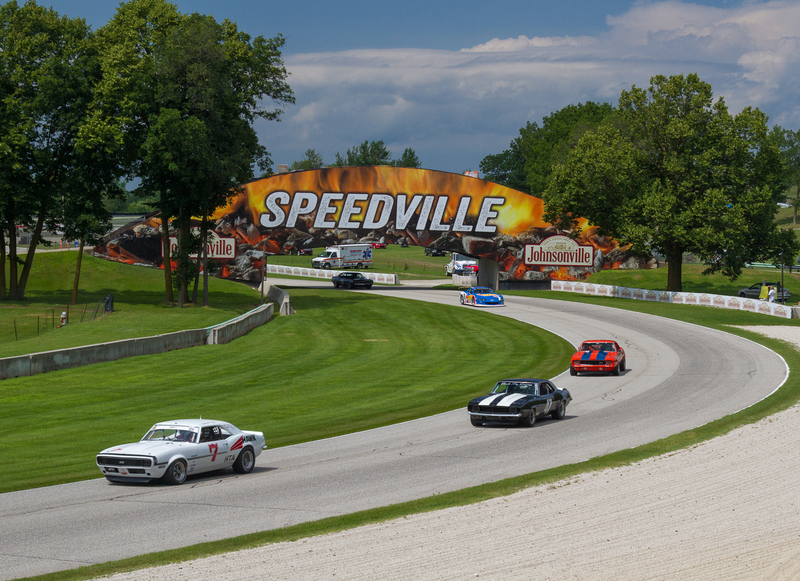 Definitely a great area to soak up the ambiance of Road America. I spent the rest of Thursday banking mainly solo shots of cars in the various practice groups. Since it was a practice day, I didn’t expect to see a lot of close-quarters action, but it was a good day to get some “hero” shots of individual cars. 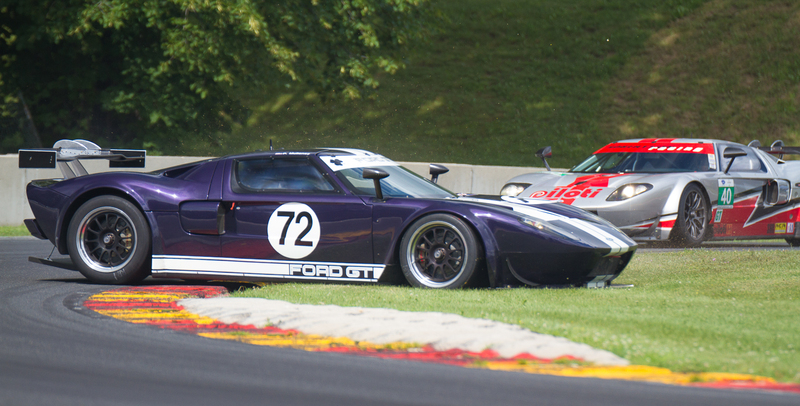 Another favorite spot for this type of shot is the crest at turn 2, which really isn’t much of a turn at all. In fact, I believe it’s just labeled a corner because visibility over this hill makes it necessary to put a a flag station there, and flag stations are referred-to by corner number, thus, “corner 2”. When you’re watching on TV, this is the Briggs & Stratton banner location between turns 1 and 3, and the cars look great coming right at you over the top of that hill. This is a credentialled-photographer only location — you won’t be able to get these shots as a spectator, unfortunately. Friday was the first day of qualifying runs, but I spent a fair portion of the morning working on a sidebar story (see “At the apex…” later) for Victory Lane. 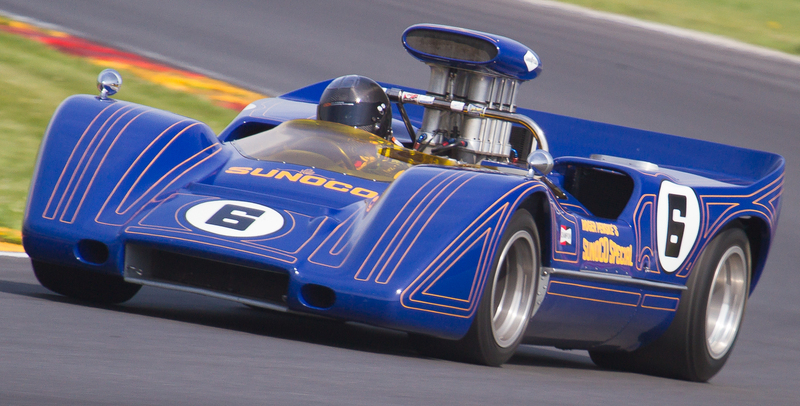 One of the Can-Am cars in attendance was there at the invitation of magazine’s editor, and they asked for a bit of a write-up on the car and its history in Can-Am. 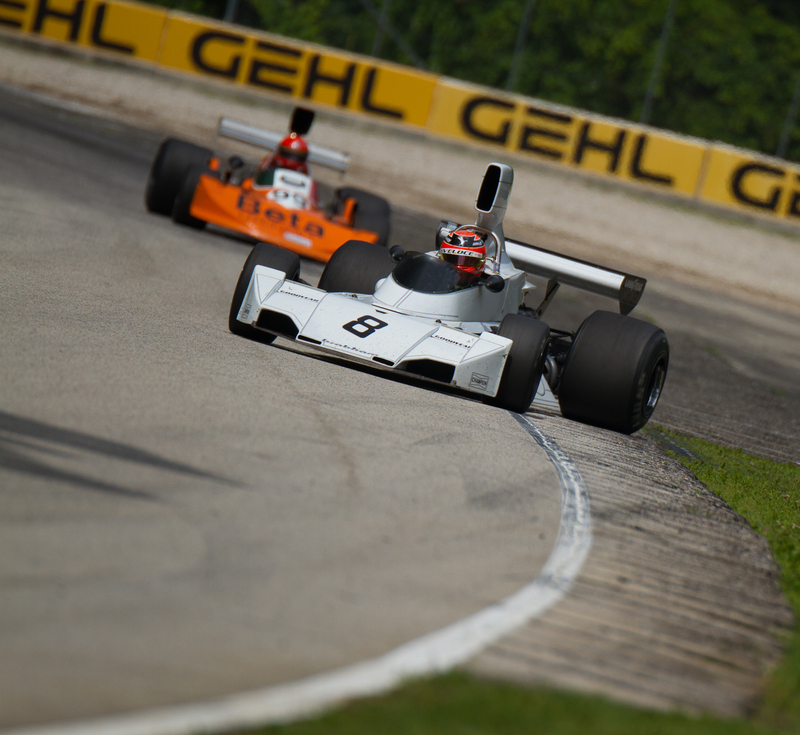 I wound up having a great conversation with Bruce Marquand, driver of a 1967 McLaren M6A once driven by Mark Donahue at Road America some fifty years earlier. 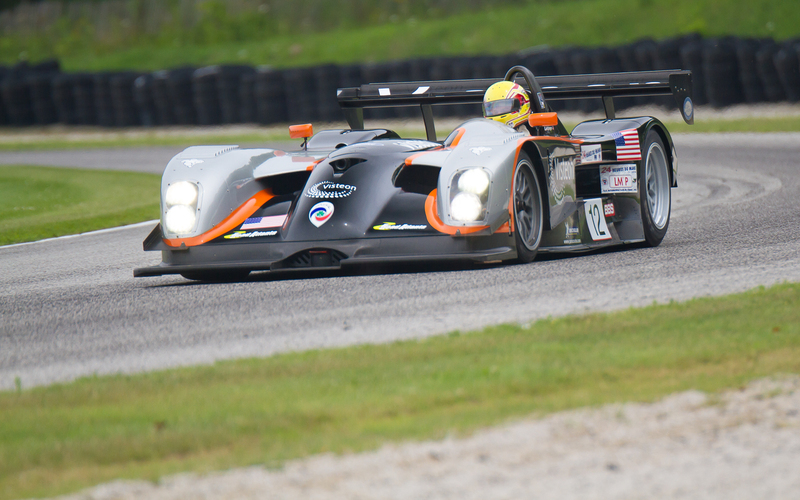 This McLaren, along with the rest of the Can-Am field, is a crowd favorite and still an absolute joy to watch. 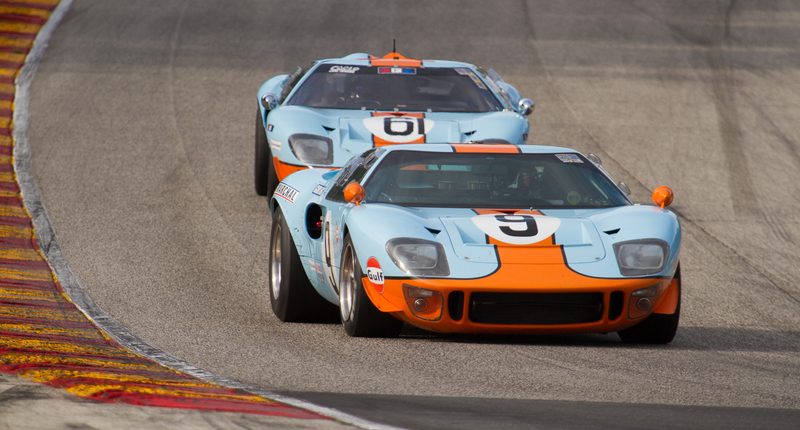 Each time I see these cars, I have to count my blessings at being able to see them run at speed at all. 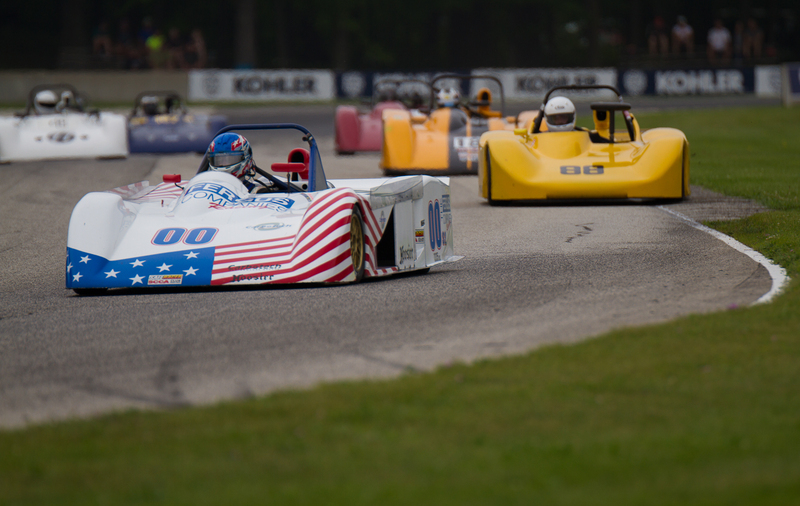 I took a pass on the Friday-night race car concourse in downtown Elkhart Lake — I’d previously made plans to catch up with family, and it turned out to be a little on the rainy side, in any event, but if you’re in town for the Brian Redman, I highly recommend checking out the concourse. The whole scene is just amazing — throngs of fans, drivers, and crew fill the streets downtown, milling about one gorgeous race car after another. Get there early if you plan on finding a parking spot anywhere near the concourse, or park a few blocks away and watch the parade of cars roll into town. Moving along to Saturday and Sunday, the racing action began to pick up, and I worked on capturing front-running cars in a variety of locations. I started back on the outside of Canada corner again for a couple of groups I hadn’t caught there on Thursday, then I spent the rest of the day inside & outside of turns six, seven, and eight. The views inside these corners are very different from those outside. Both of these parts of the track offer some great vantage points for amateur shooters, too — especially inside turn six, where you can shoot almost as close as you’d be able to shoot with a vest. Wrapping up the weekend on Sunday, I hit a couple favorite spots in the morning, then moved to turns two & three for some of the features. If you look at the track map, turn two isn’t really much of a turn at all, but I believe it’s indicated as a turn because it’s a corner station. In any event, this is another unique vantage point. Cars cresting the hill here pass directly under the Briggs & Stratton sign, passing the protective barrier at full song on their way down to the hard braking area before the sharp right-had turn three. By mid-afternoon, the sun was really fighting me in that part of the track, so I wrapped up the day over in the carousel for a perfect end to the weekend. As always, no sooner was the track quiet than I was counting the days until next year’s event — see you then! At the apex, you nail it. “At the apex, you nail it. You may get a wiggle on it, you may get a whip out of it. And then you take it up to your rev limiter, and then you pound third gear. Your head flies back into the headrest, right? And you’re doing about 120 miles per hour in third gear. And then you’ve got this hill to go up and then there’s this small little dip and your rear end gets light and you get a slight wheel spin at about 140 miles per hour. And then you shift it into 4th gear so you can get up to about 180 miles an hour, and then you have all the stands and all the fans next to you, down the wall, and you’re just flat pedaling it, watching that tach get up to the rev limiter, and you’re watching that entry to turn 1. 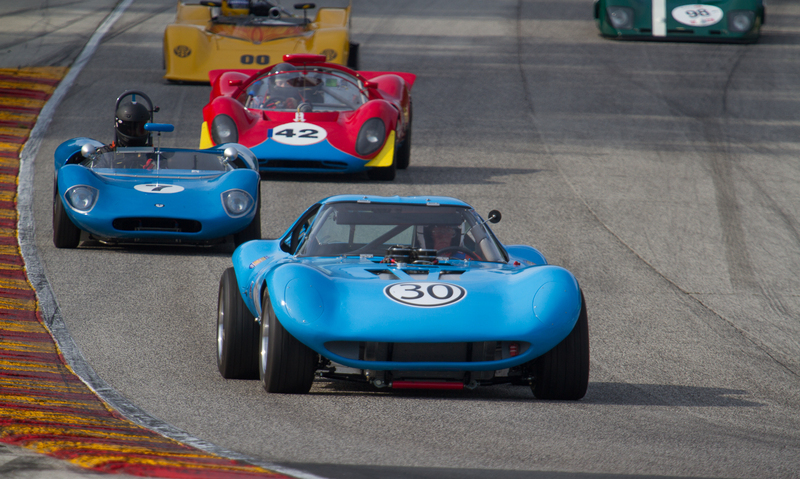 During this year’s WeatherTech International Challenge with Brian Redman, I had the great pleasure of meeting Bruce Marquand, driver of this beautiful blue 1967 McLaren M6A. 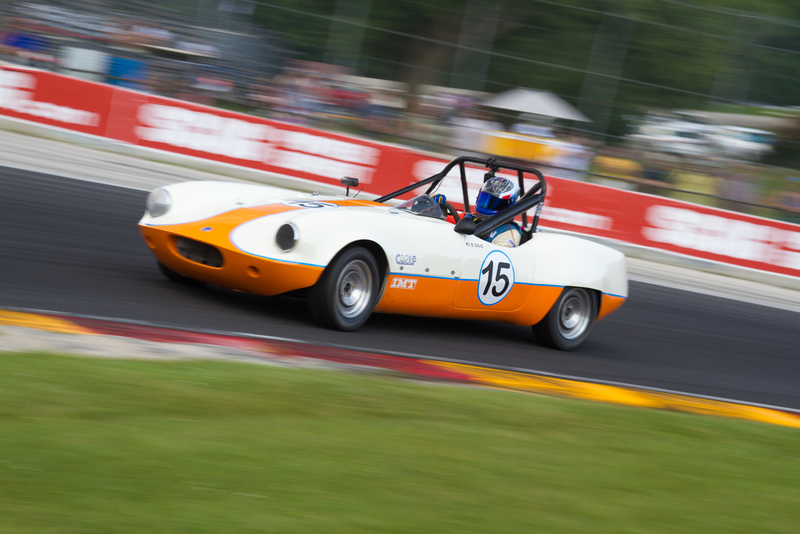 Bruce connected with this car fairly recently, but it’s got a rich racing history dating back to its debut at Road America 49 years ago this September at the hands of Mark Donahue. 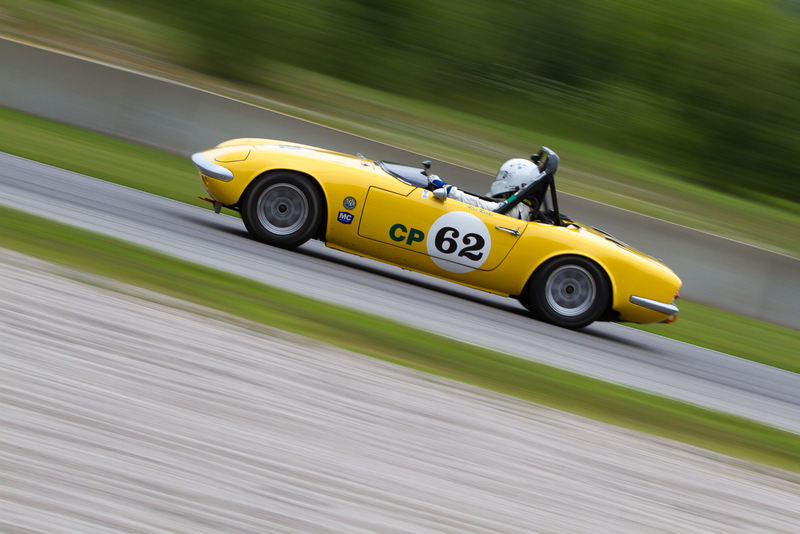 The Canadian-American Challenge Cup, forever etched in racing history as Can-Am, was among the wildest periods of technical development and driver heroics. 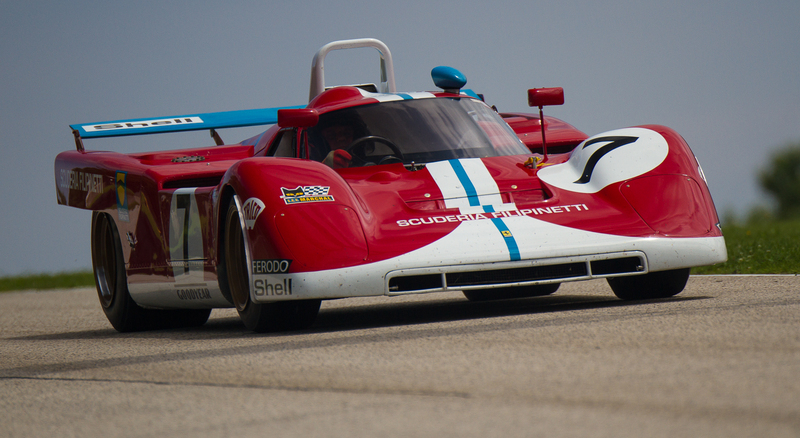 The Donahue car has the swoopy Lola-like lines characteristic of those first few years, but its development shows evidence of the rapid evolution these cars were famous for. Originally a 1967 McLaren factory car, it never raced in 1967, and was sold to Roger Penske at the end of the year. Donahue, having joined Penske in 1967 to drive in the United States Road Racing Championship, was Penske’s choice to drive this car in the Can-Am series in 1968. 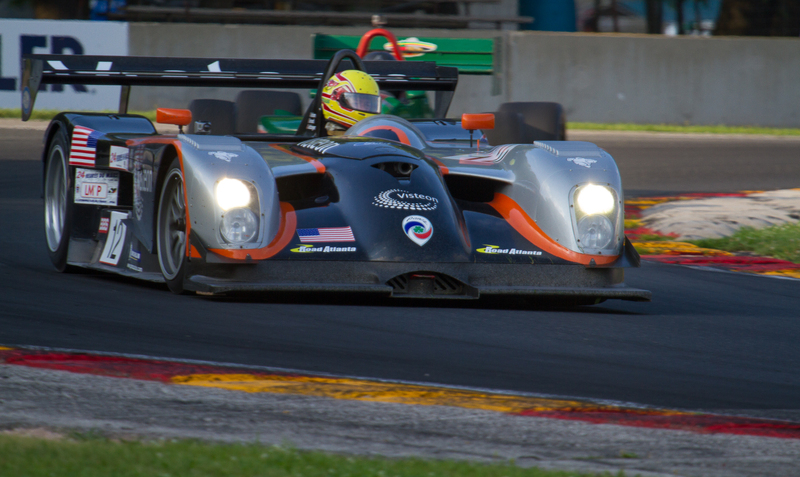 Donahue made significant upgrades to the powerplant, suspension, and aerodynamics of this car prior to the September 1 season kickoff, earning a reputation for car development as well as driving. 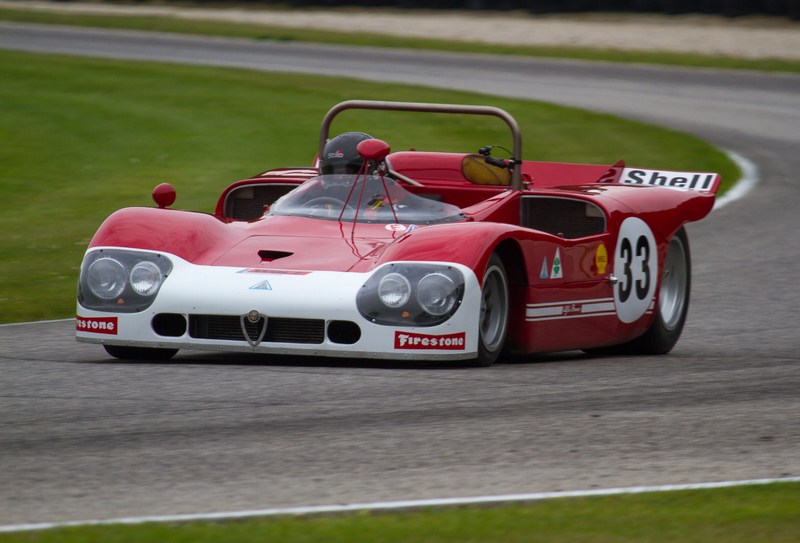 This car came home third at Road America at Donahue’s hand, won the next outing at Bridgehampton, and took Donahue to a solid third place in the 1968 driver’s championship. 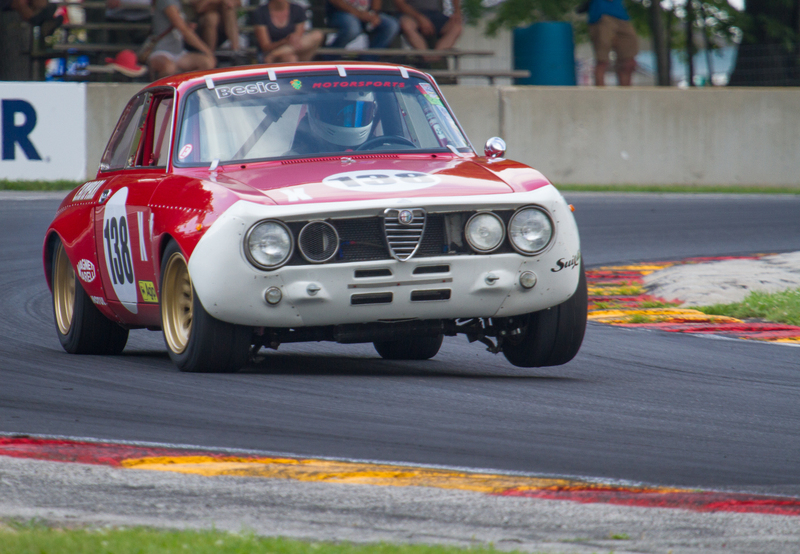 Fast-forward nearly fifty years, and this car is still thrilling crowds. 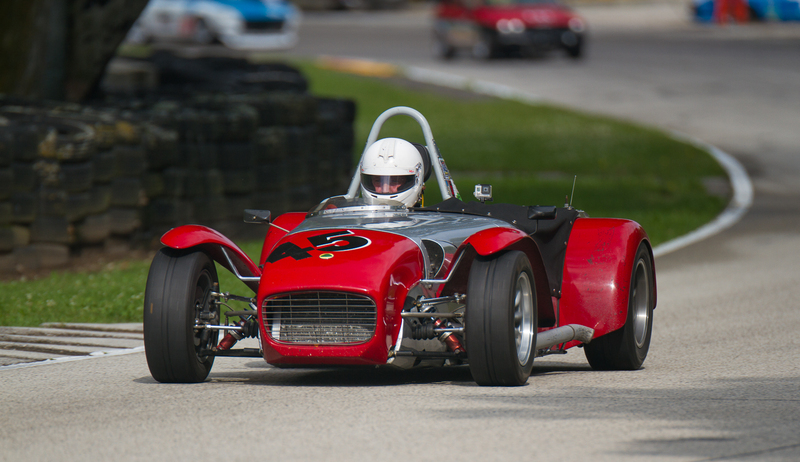 Following its days racing in anger, Carl Moore began the work of restoring it to its original condition, including compilation of a history of the car and an engine overhaul by Ed Pink. As expected, not all of the original parts are available or in safe racing condition, so the process of sourcing and/or fabricating has continued through Brian Blain’s ownership of the car, and on to the present owner — a customer of Marquand’s shop (Classic Competition, San Diego). 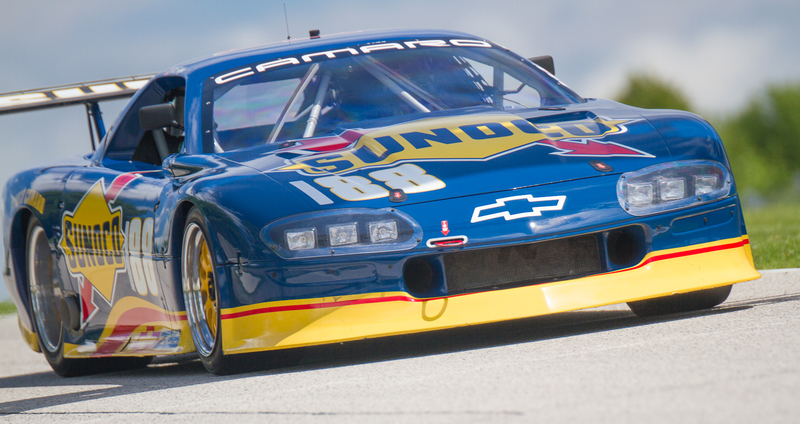 The goal of this ongoing work is to make this car as close to as-raced as safely possible. 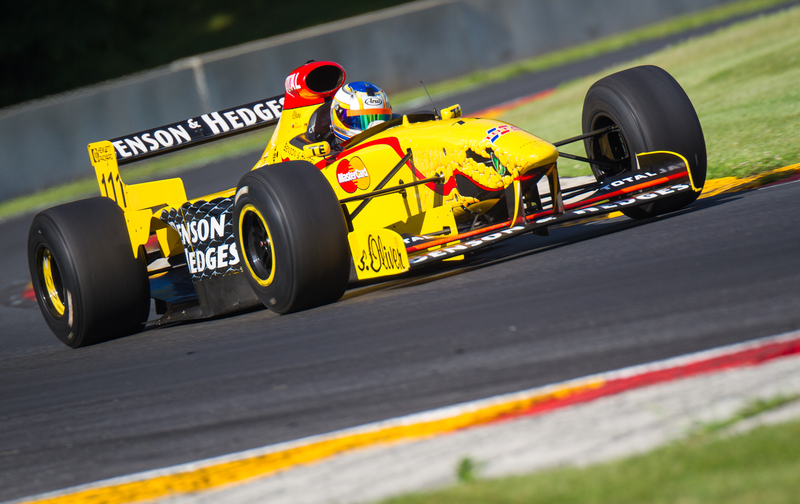 Road America was Marquand’s second appearance in the McLaren (following Long Beach), and he indicated the car would continue to enter only “significant events” due to its rarity and value. 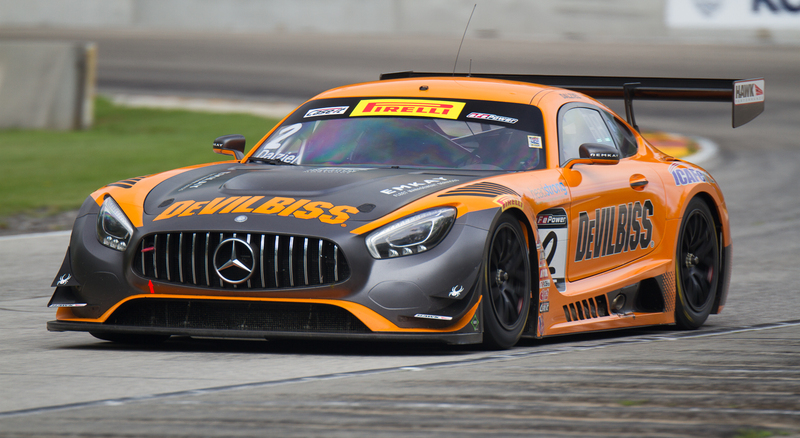 These were, in fact, major factors in the car having changed hands most recently, and continue to be a concern whenever the car takes to the track. Racing has always been a risk, and as Marquand pointed out, these are cars that bite hard if anything at all goes wrong. 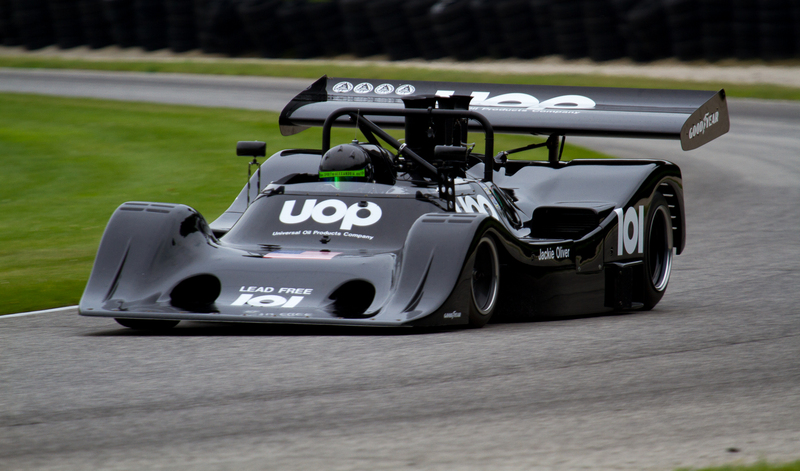 As a fan of the sport, I believe the opportunity to experience these great cars on-track, much like the cars themselves, is priceless, and I am thankful for each of the owners and drivers of these vintage machines for treating us to the thunder of Can-Am cars at Road America once again. FYI My McLaren is repaired and looks better than ever. Currently it is sitting in the lobby of McLaren Engines in Detroit. 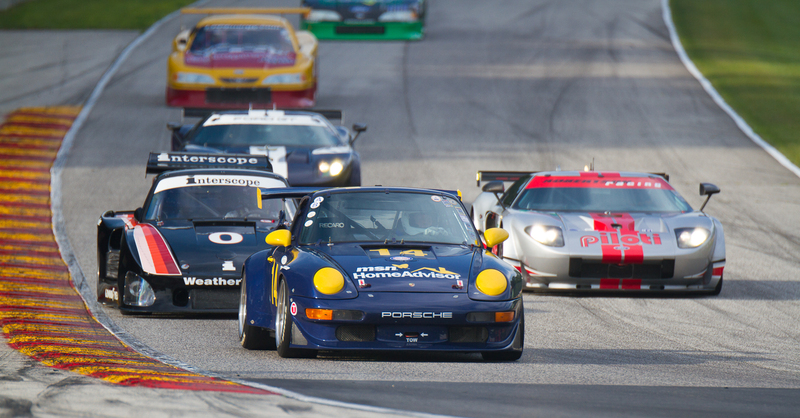 Will you be at the HSR Daytona Classic 24 next week? Thanks so much, Bill, and I’m really happy to hear that your McLaren is ready for the track again. Unfortunately, I’m not going to make it down to Daytona. It’s a bucket list event for me, but it’s not in the cards for me this year.